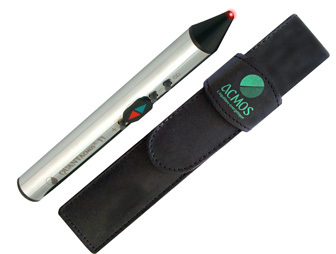 The Acmos antenna measures all vibratory or energy emissions whether human, animal, vegetal mineral or environmental. It can determine the origin of an environmental aggression or a health energy disorder by identifying the type of aggression and locating the exact source of the perturbation. The “ Acmos7 ”, integrates the latest discoveries in electronics and micro-processors. 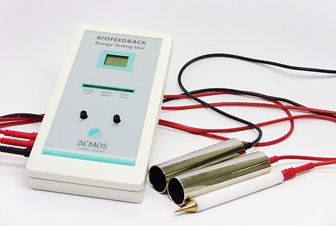 To give the most accurate readings of the body energy flow. The digital monitor indicates the the degree of blockage in an energy circuit at the outset of the energy balancing session. This reveal the existence of a deep disorder or an unsuspected weakness. 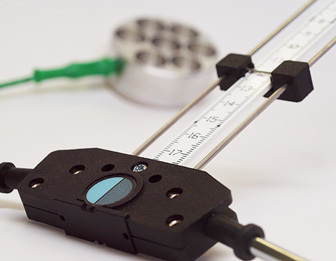 The requirement of an Acmos harmony regulator to compensate in cases where a balance disturbing remedy has to be applied for symptomatic reasons. 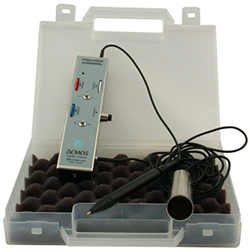 The Detector/Stimulator Acmodermil is an instrument which compounds high electrical technology to stimulate energy at all the levels of the organism with the simplicity of use. The alternative pulsed square current that it emits according to certain criteria permits to realise, in a few seconds, a much more efficient energetic stimulation and more precise and efficient than acupuncture needles . The stimulation attains high vibratory quality. This is due to rigorous choice of components, free of any parasite wave forms which can distort the tonificatioon and sedation operations. 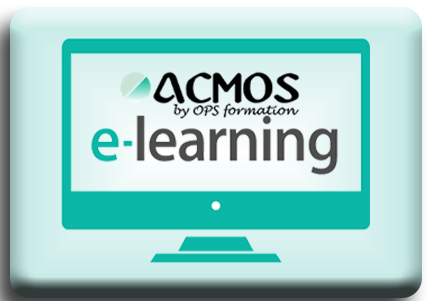 The E-Learning training in ACMOS Bioenergetics will be soon available in English.. The E-learning plateform is hosted and administrated by Christophe Claret under support and supervision of the complete ACMOS team! 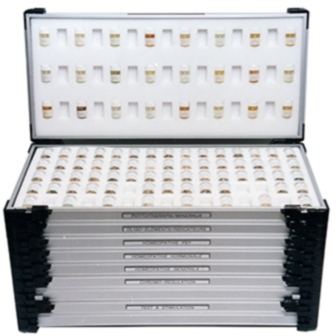 The online seminars are progressing on a regulat basis, with the recent addition of new development modules and especially, following many student requests, the addition of a new "Upgrade Module" in order to master all the novelties of the ACMOS Method, in its structure as in its contents. SURVIVE, THRIVE & FEEL ALIVE! The ACMOS Method, developed by Rene Naccachian PhD, reveals hidden information held in the body. It uses the principle of resonance to find specific solutions which allow energy blocks to be cleared by applying a truly personalised programme of natural remedies and acupoint stimulation. 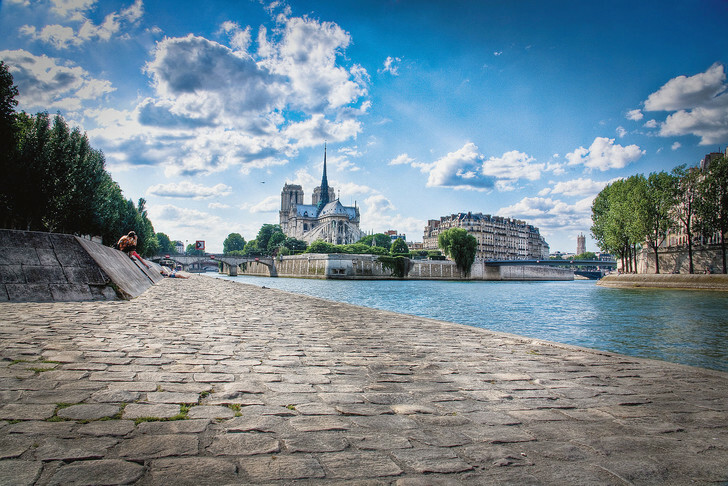 ACMOS respects the wisdom of the energy body to find the hidden causes of malaise - steeped in inherited patterns and emotional experiences - and to find solutions which resonate with health. Carol is an experienced clinician who has been teaching with Dr Naccachian for the past 7 years. Widad has been working with Dr Naccachian and teaching the Acmos Method for over 20 years. The training courses are for all : professionals involved with health, fitness, diet, and related matters but also those who are searching to better understand and learn about the circulation of their vital/chi energy or that of those close to them. Note : it is not necessary to possess particular medical knowledge to attend the ACMOS Courses and training. SBJ International is a Scientific & Research Center working on Bioenergetics, Created by René Naccachian since 1985, former creator of the Acmos Method of Global Energy Balance.